If you are trying to obtain credit, then, regardless of the type, you will need to sign loan agreement or contract. Whether you are applying for a mortgage, credit card or a loan for a vehicle, obtaining financing involves the same criteria. Lenders who are making approvals for credit primarily look at your credit history, your credit report, your revolving credit history and your payment record on installment accounts. Naturally, lenders like to see a history that shows that the consumer responsibly and consistently made his payments on time. The credit report, itself, shows past and current debt – all which may include credit cards and mortgage, and vehicle payments. The report is an indicator of a consumer’s capacity to pay and provides details about the length of the loans as well. Therefore, always make sure that your credit report is up-to-date and correct. Obtain the report from one of the two main reporting agencies – TransUnion or Equifax. Every consumer in Canada has a right to view the details in their credit file, including the credit rating. Credit reports can be viewed free of charge through the mail or online for a small fee. The best way to establish a good rating is to make timely payments. That will also make it easier to apply for loans at a lower interest rate. When borrowing money then, you will need to consider the loan terms as well. Usually, it’s best to select the shortest loan term that you are able to afford. While you will have to make a higher payment, you can also pay off the amount of the loan just that more quickly. Interest charges cost less over the long run when a loan if for a shorter term. If your terms span over 48 or 60 months, you will pay a lower payment monthly. However, the overall amount will ultimately be much higher than if you choose a shorter term. The annual percentage rate or APR of the loan includes the interest rate as well as additional fees. Lenders are all required to provide the APR for a loan, in addition to the terms and conditions, before you sign a loan agreement. The total loan amount then includes the amount that is borrowed plus the interest and the fees that are paid over the loan’s life. Sometimes a personal loan may include a balloon payment. A balloon payment is a big, lump sum remittance, due at the end of a loan term. 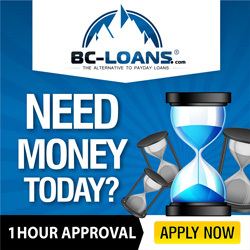 Loans that feature a balloon payment generally have lower monthly payment amounts and interest rates. However, those extra savings you incur also mean that you should have the balloon amount immediately available at the conclusion of the lending term.